Pending Osage Congressional approval, the Osage Nation will once again have three Osages serving as Supreme Court Justices on the Nation’s High Court. On July 9 and 14, newly inaugurated Principal Chief Geoffrey Standing Bear notified the Fourth ON Congress via executive messages that he appointed Washington, D.C.-based attorney Elizabeth Lohah Homer, and Cotter, Ark.-based Drew Pierce to the ON Supreme Court. Both Homer and Pierce’s nominations are subject to Osage Congressional confirmation during the 24-day Tzi-Zho Session starting on Sept. 2. If confirmed, both Homer and Pierce will serve their first-ever four-year terms as Associate Supreme Court Justices along with Supreme Court Chief Justice Meredith Drent, who is serving her third four-year term on the Supreme Court. Drent was elected for retention as Chief Justice in the June 2 general election. Homer is the daughter of late Supreme Court Chief Justice Charles Lohah who served as the Nation’s first Chief Justice from 2006 until retiring in 2012. Homer is a founding partner of law firm Homer Law Chartered and served a three-year term (1999-2002) as vice chairwoman of the National Indian Gaming Commission, according to her resume. A University of New Mexico law school graduate, Homer’s professional experience with the Osage Nation includes serving as attorney (at separate times) for the ON Gaming Commission and Gaming Enterprise Board, of which she also served as chairwoman in 2010. Homer also worked as a tribal programs analyst for the Nation in 1979 after earning her bachelor’s degree in political science from the University of Colorado that year. Homer worked as an assistant district attorney for the New Mexico state District Attorney’s office’s second judicial district after UNM. In this post, Homer worked for the Violent Crimes Division where she prosecuted criminal cases in the state court system. Homer’s professional experience also includes serving as deputy director for Americans for Indian Opportunity from 1982 to 1986; as a special attorney for the U.S. Department of Justice’s criminal division which included prosecuting cases involving sexual exploitation and abuse of children and conducting grand jury investigations; and serving as director for the Office of American Indian Trust under the U.S. Department of Interior. 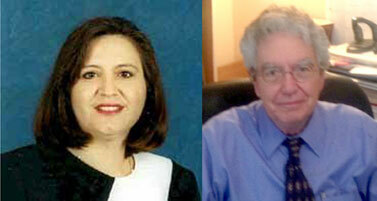 Pierce is also no stranger to the Osage Nation judicial system. Most recently, he served as an appointed Associate Supreme Court Justice to help decide the two declaratory judgment cases filed in 2013 involving the Third ON Congress and former Principal Chief John Red Eagle regarding two separate interpretations of the 2006 Osage Constitution. According to his submitted bio, Pierce previously served as the Osage Nation District Court Judge under the 1994 Osage Constitution, which was invalidated in 1997 by the 10th U.S. Circuit Court of Appeals' decision in Fletcher v. United States. Pierce, also an Army veteran, worked in the farming and construction industries for 20 years before entering and graduating from law school at the University of Arkansas. Since 1995, Pierce has worked in private practice in Cotter where he focuses primarily on civil law, including contracts, probate and estate planning. Drent appointed Pierce by designation to join her and now-retired Associate Supreme Court Justice Jeanine Logan for the inaugural declaratory judgment case regarding the initial board appointment of Eddy Red Eagle Jr. to serve on the Osage Nation Energy Services LLC board. Red Eagle is the older brother of now-former Principal Chief John Red Eagle, who appointed him. The case started after several Third ON Congress members expressed concern the familial relationship was a conflict of interest. As a result, the Congress filed an April 2013 court complaint and asked the Supreme Court to opine on the issue. In a May 2013 written opinion, the High Court said it lacked jurisdiction to determine whether Chief Red Eagle violated the Nation’s ethics law when he appointed his brother to the ONES LLC board. The court also noted the ON Attorney General is both the recipient of alleged ethical violations for non-Congressional officials and the initiator of any judicial action to evaluate an alleged violation. Thanks to a second temporary Associate Justice designation, Pierce became part of the Supreme Court which issued a December 2013 declaratory judgment ruling that Red Eagle received proper notice of the removal process used by the Third ON Congress to impeach him from office in January 2014. Red Eagle challenged the process and asked the Supreme Court to opine with a declaratory judgment ruling. With a ruling that would not halt the removal process, the Congress convened for Red Eagle’s removal trial that lasted eight days the following month. According to the Osage Constitution, the Principal Chief appoints the Supreme Court Chief Justice and associate justices and those appointees are subject to Congressional confirmation for a four-year term. 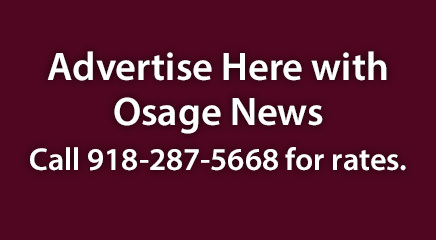 Once those terms expire, each judge’s name will appear on the election ballot for retention by a vote of qualified Osage electors for a four-year term thereafter.